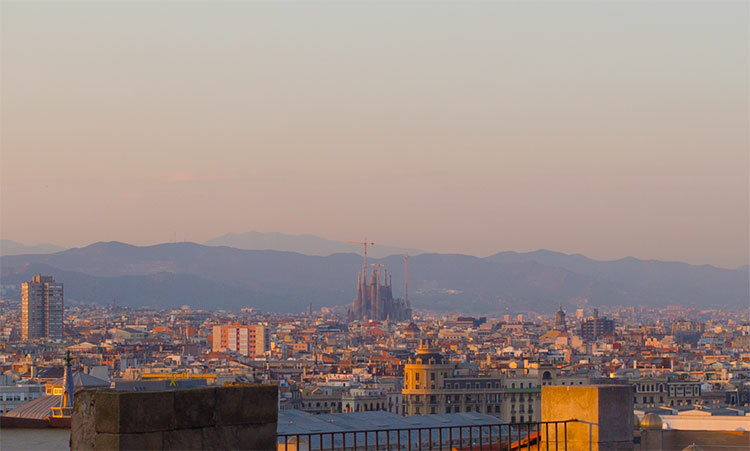 As well as having one of the best football teams on the planet, Barcelona also happens to be one of the most exciting cities in Europe, if not the world. I guess I’ve been here maybe 13 or 14 times in my touring history and each time I enjoy this city more and more. In the 80’s, Barcelona was already well known for its club scene and although I’m long past being a participant, I hear it’s as vibrant now as ever, despite the current disastrous financial climate in Spain at the moment. I feel I should at this point say that our hearts go out to those families affected by yesterday’s awful train crash in Santiago de Compostela. A truly unbelievable incident which will hopefully never be repeated. With the tour wrapping up and with it the heat, today in Barcelona there was little respite from the high temperatures, just a slight sea breeze the closer you walked to the seafront. Wandering around town was exhausting so few of us made it very far. It was however worth it for a cup of delicious ‘café cortado’ available practically everywhere here. The lateness of these Spanish shows means the hotel is where we spend most of our day and today’s departure time was 7pm. 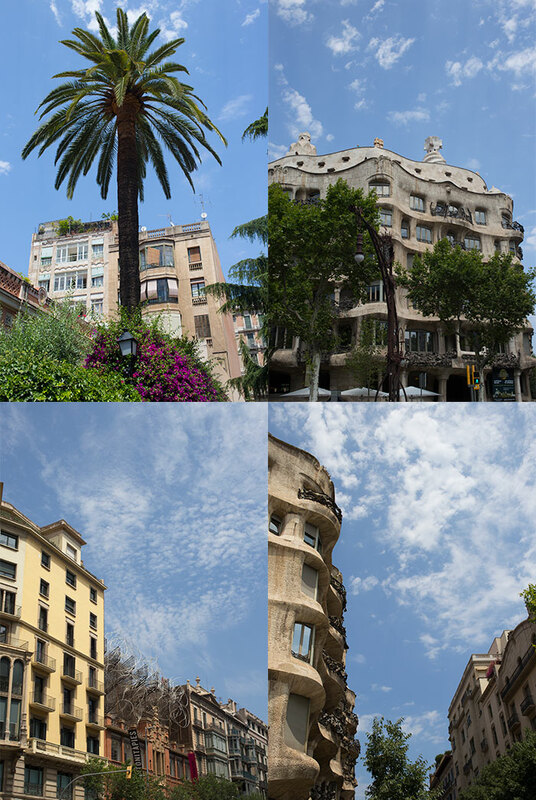 A short drive towards Barcelona’s Montjuïc, a short, shallow hill to the Southwest, overlooking the harbour. There are several venues in this area at which we’ve performed but today’s was a new one for us. The Poble Espanyol, an open-air architectural museum opened in 1929. 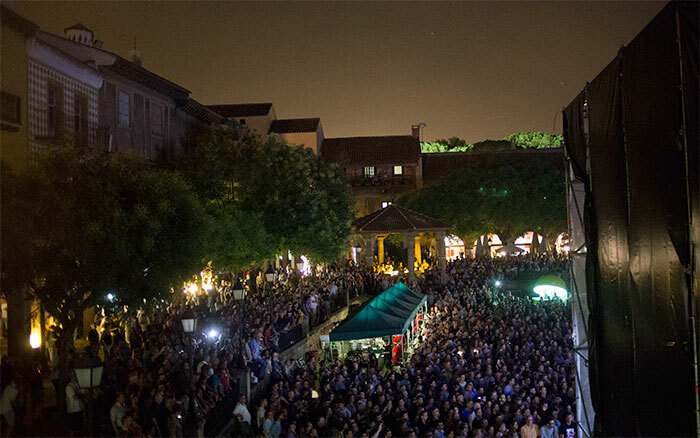 Essentially, it was another town square gig, with a potentially fabulous Barcelona crowd filling the available space. As we drove in, we had to make our way to the dressing room areas through the actual museum and then through public areas which was no issue at all. Catering was a delight for the boys as their kitchen area was spacious and well equipped. Dave and Chris served up delicious Spanish dishes including a Tapas platter, empanadas and Gambas con patatas fritas. Mouthwatering, as usual. The dressing room overlooked the square so through a gap in the curtains we could see the area quickly filling up. Soon 10pm was upon us and we took to the stage for the first of our Spanish run of shows and an amazing Catalan welcome. We tore through the set with relish and it all seemed over so soon as it has done on every show of the tour so far. A sure sign we’re doing something right. The traditional getaway was difficult due to all the public areas around the stage so it was decided that we stay for a few after show drinks and nibbles left over from the dinner feast. All in all a fantastic night and a perfect way to set us up for the remaining five Spanish shows.